LOS ANGELES, CA - For those boxing fans that have been annoyed and held some resentment at the recent announcement of Mayweather-McGregor, earlier today Tom Loeffler of K2 Promotions announced what could be the best boxing card of the year taking place on September 9th. On the card, the rematch of one of this year’s most memorable bouts will be held, as Roman “Chocolatito” Gonzalez will have his chance at redemption against Srisaket Sor Rungvisai (43-4-1, 39 KOs). This past March the two men met on the undercard of Gennady Golovkin’s middleweight bout with Daniel Jacobs. The fight provided its share of fireworks and is one of the leading contenders’ for fight of the year honors. Rungvisai won a highly disputed majority decision with scores of 114-113 twice, and one card read 113-113. The Thai fighter took Gonzalez’s WBC championship and his lofty status as the best pound for pound fighter in the world. Gonzalez is still highly rated and even ranked number one by some as most observers had him winning. The rematch could be as brutal and demanding for both men as the first fight. If Gonzalez pulls out the victory against Rungvisai, there are no easy fights awaiting him in the Super Flyweight division. On the card will be the American debut of WBO Super Flyweight Champion and phenom Naoya “The Monster” Inoue (13-0, 11 KOs). The Japanese star is only 24 years old and a two-division world champion. 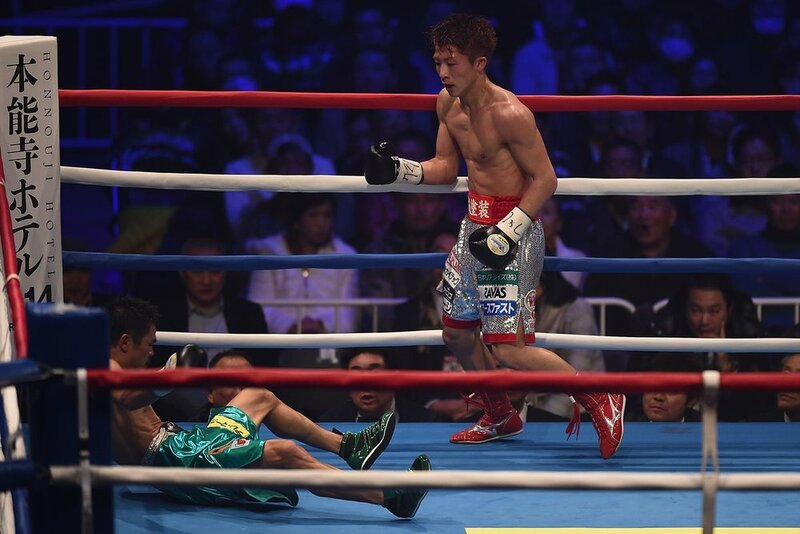 Inoue made the fifth successful defense of his Super Flyweight title last month against Ricardo Rodriguez (16-4, 5 KOs) stopping him in the third round. Inoue’s biggest victory came at the end of 2014 against Argentina’s Omar Narvaez (46-2-2, 24 KOs). Before facing Inoue, Narvaez made 16 successful title defenses of his WBO Flyweight title then moved up to Super Flyweight to win the WBO title in the division to make 11 title defenses. Narvaez’s only loss was to Nonito Donaire in 2011 in the bantamweight division. Inoue earned his nickname ‘The Monster’ by knocking out Narvaez in the second round. American audiences have been anxious to watch Inoue in person for the last few years. They will get the chance in September when he faces Antonio Nieves (17-1-2, 9 KOs). Afterward, a fight with the winner of the Gonzalez-Rungvisai rematch in a unification bout will be expected. To start off the night in style, Carlos Cuadras (36-1-1, 27 KOs) will meet Juan Francisco Estrada (35-2, 25 KOs) in a WBC Super Flyweight title eliminator. Cuadras and Estrada are best known for their fights with Chocolatito that resulted in close decision losses for both. The two men gave great accounts of themselves in losses as fans have demanded rematches for both men. Cuadras is coming off of a lackluster performance against David Carmona (20-4-5, 8 KOs) where he won a close unanimous decision. Estrada has suffered from injuries the past two years causing him to be less active. In his last fight, he stopped Anuar Salas (20-4, 12 KOs) in the fifth round in Mexico City. This bout could prove to be the most exciting of the evening as the two men are trying to prove who deserves a rematch with Gonzalez the most. The winner will certainly be in line for a title shot next whether it is with Gonzalez or Inoue. Mar 25 Can Chocolatito get back on top?